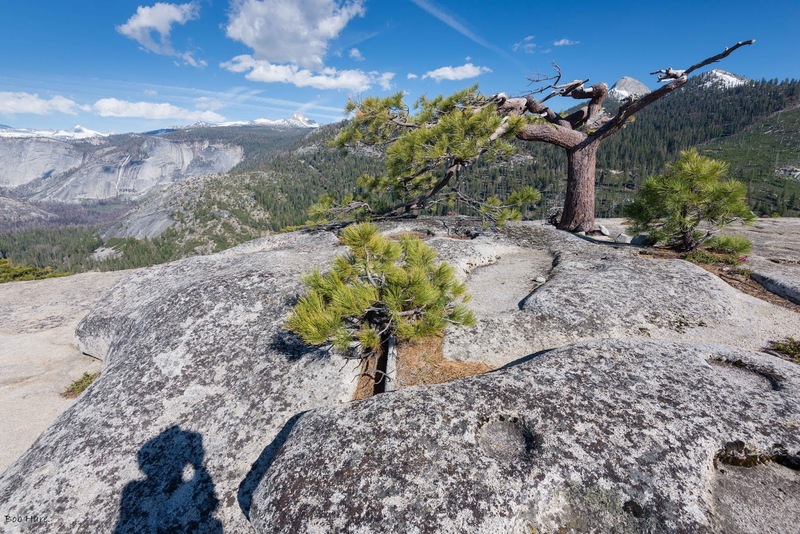 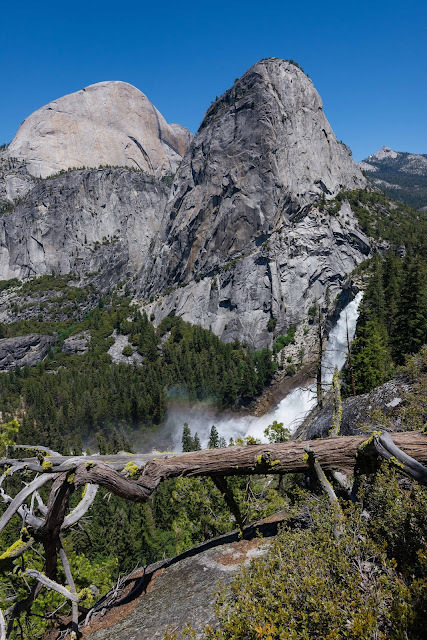 I've long wanted to visit the top of imposing Liberty Cap that looms over Nevada Fall and the lower Vernal Fall of what is known as Yosemite's "Giant Staircase". 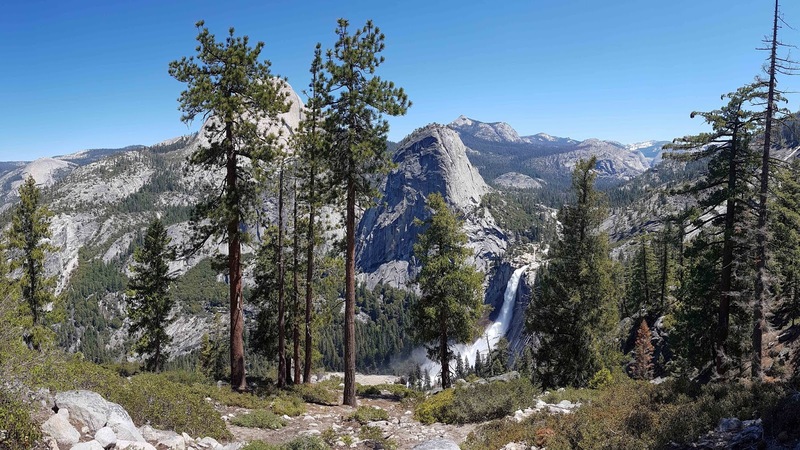 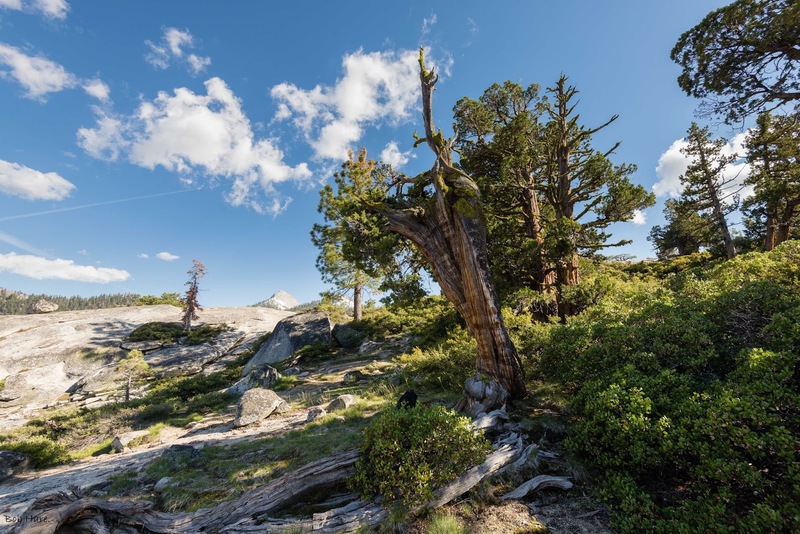 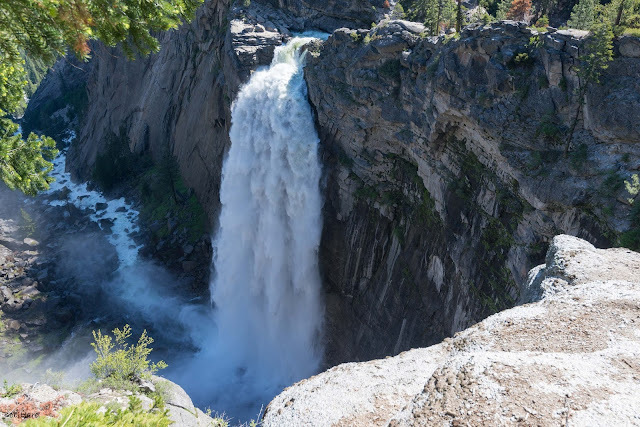 In June 2017, two friends joined me for the saunter from Glacier Point down to Illilouette Fall and then up and over Panorama Cliff and down to the top of booming Nevada Fall. 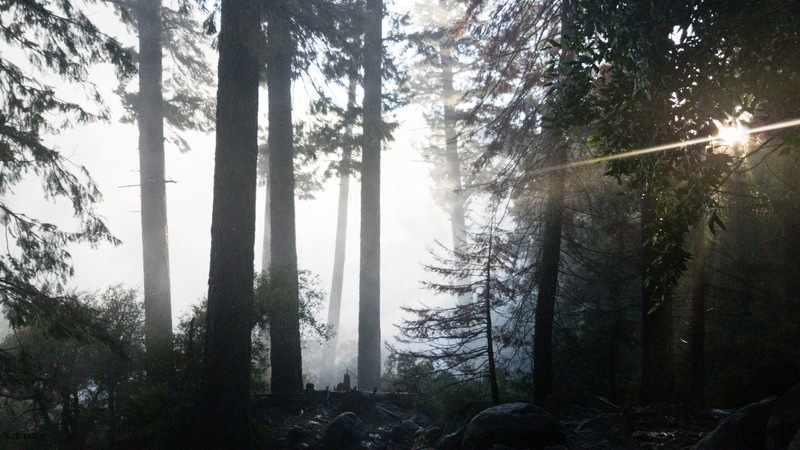 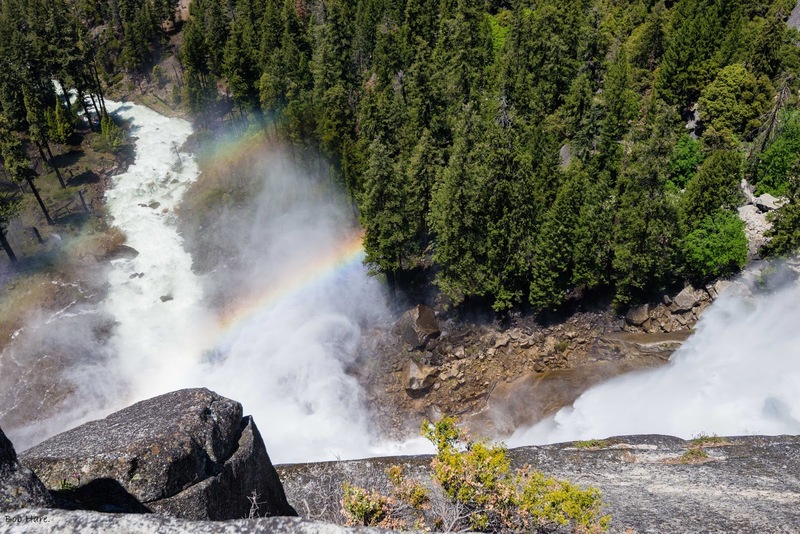 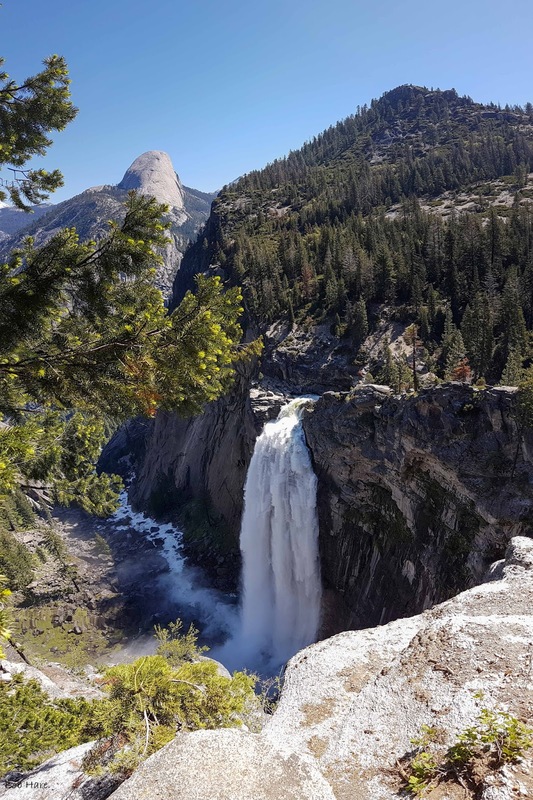 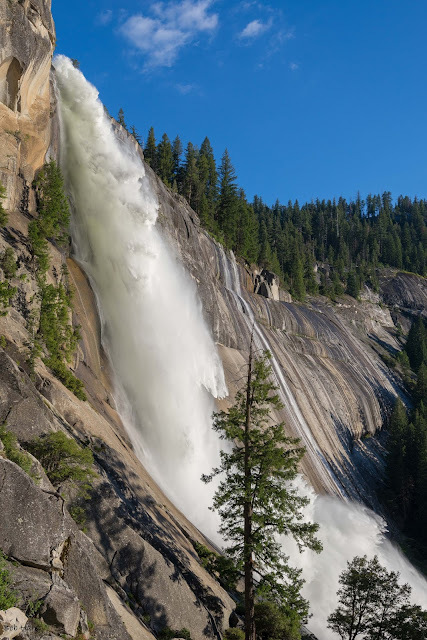 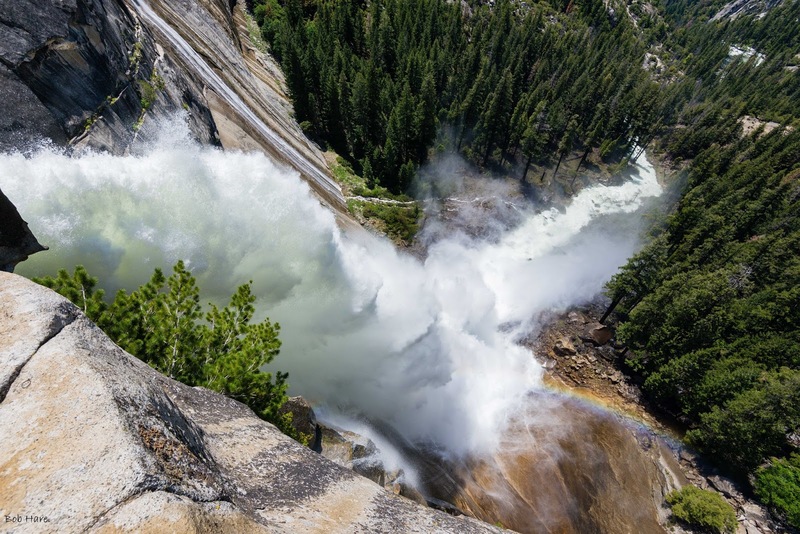 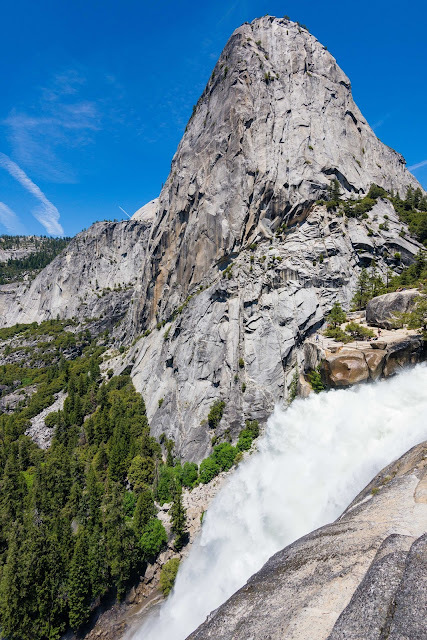 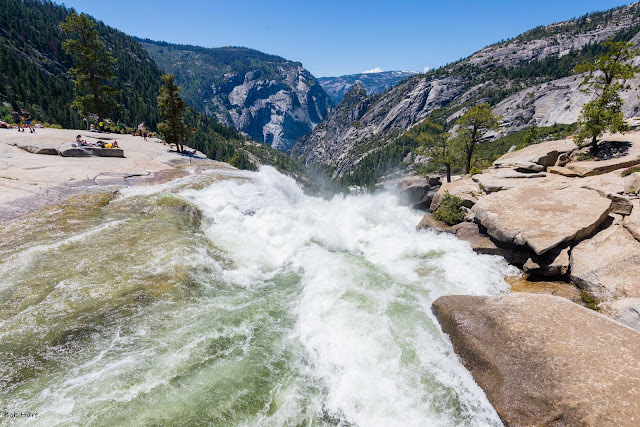 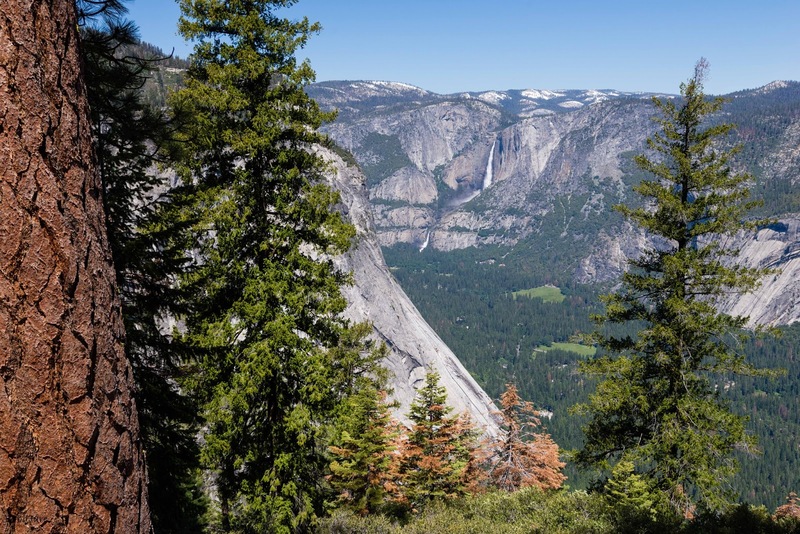 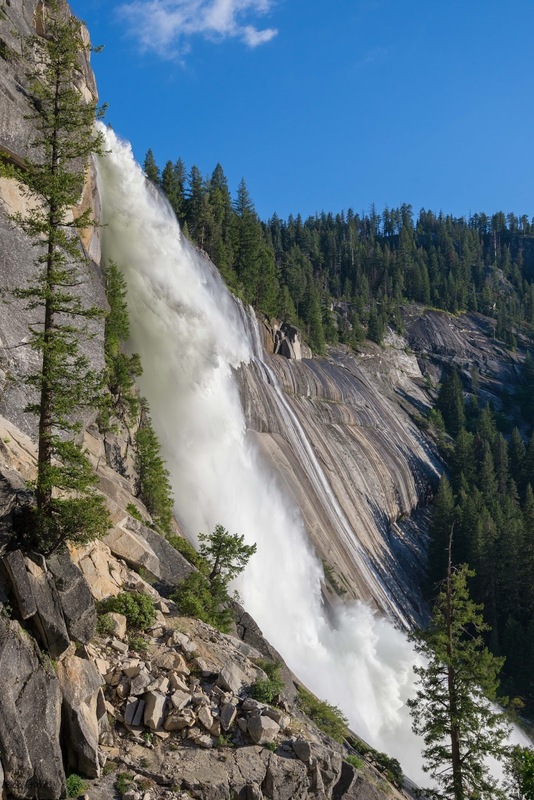 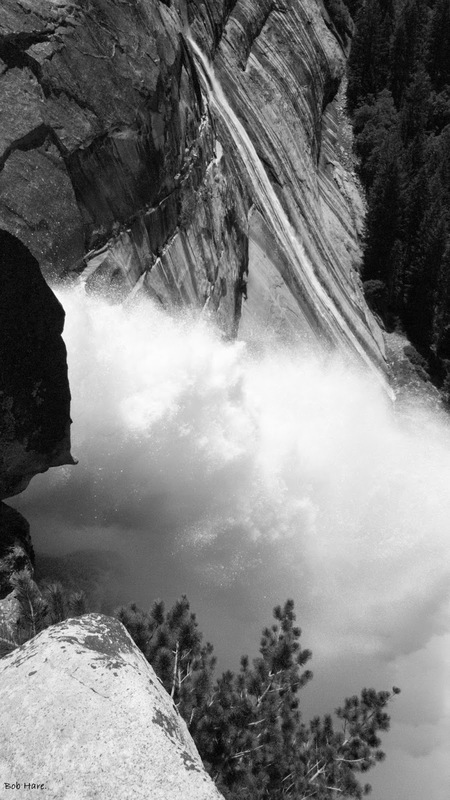 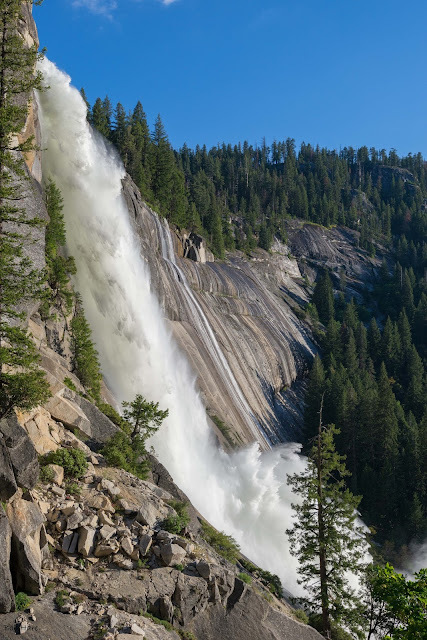 Our near-record Sierran snowpack finally broke Yosemite's long drought and the Merced River and all the park's falls were literally echoing from wall to wall in Yosemite Valley. 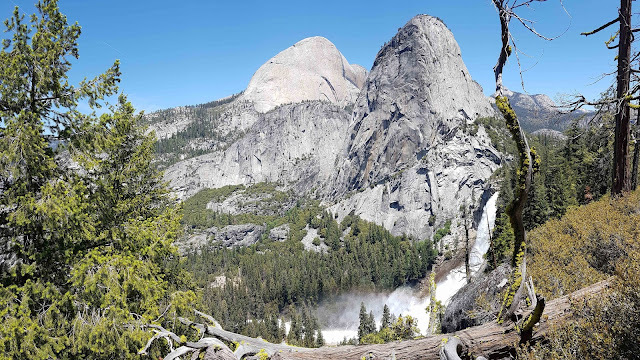 I parted with my friends at the top of Nevada Fall after looking to match and rephotograph a 1900 photo of John Muir sitting at the brink of Nevada Fall. 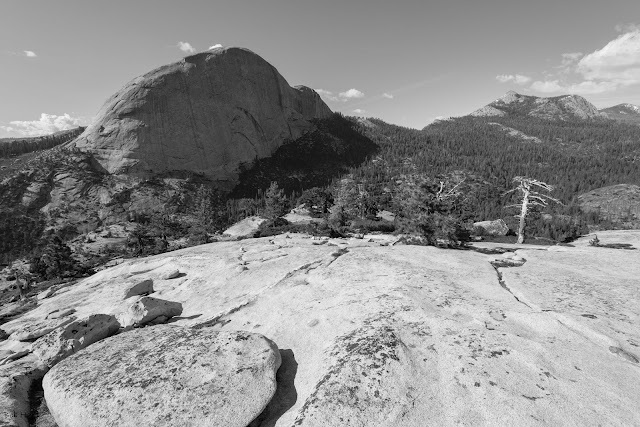 I ascended the 1,100 feet up the non-technical yet challenging east "stoss" side of this Rôche moutonnée of Liberty Cap. Lots of pulling myself up rocks using branches of manzanita that otherwise blocked my way. The view from the top was indeed quite impressive and imposing but since I topped out at 5 pm, I knew I would be arriving in the valley in the dark. 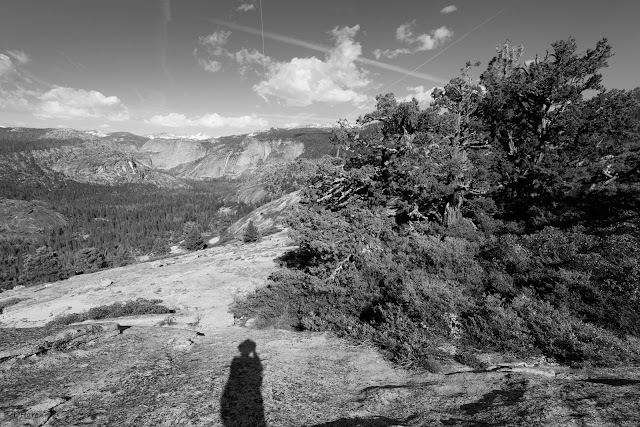 I met my wife at 9 pm at Curry Village. Enjoy these pics of this adventure. 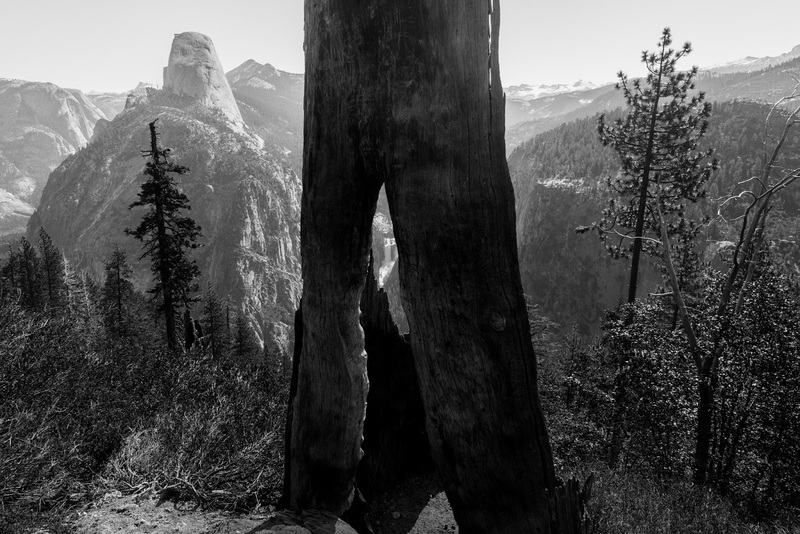 Note: If you click an image you get a larger photo and you can scroll through them.